Motorola have today announced the Motorola Fire smartphone. Expected to be available in the UK from the end of September, the phone is clearly going after a certain market. 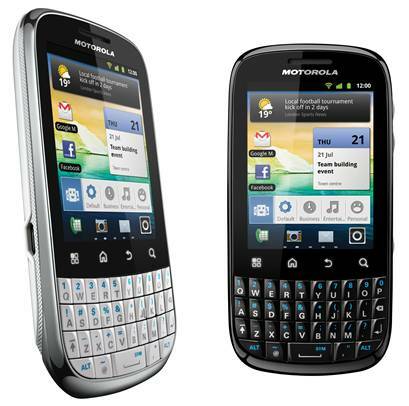 This looks designed to go head to head with the Samsung Galaxy Pro (and obviously cheaper Blackberry phones). One clear benefit is the phone will ship with Gingerbread, although at this point anything less would have been a major disappointment. Expect this phone to hit networks cheaply, with thousands of sms bundled in, that's the target audience at least. The video Motorola have produced is decent though, give it a quick watch!